The Sonoff 512 is an affordable Wi-Fi smart switch that provides users with smart home controls. 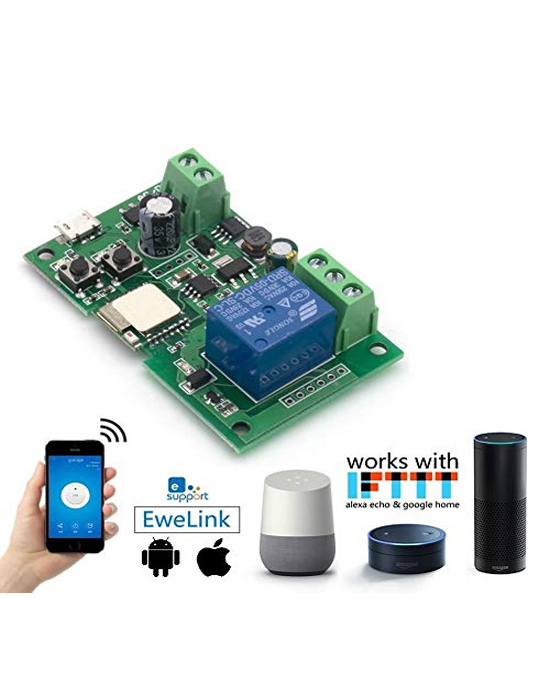 Connected to the home WiFi router and cloud platform, it allows users to remotely manage all connected devices via the eWeLink mobile application. The server is a global server of Amazon AWS. Suitable for opening of electric locks and strikers, garage doors and more. While your mobile phone has a 2G / 3G / 4G / WiFi network, you can control the devices by switching them off / on from anywhere in the world at any time. It is possible to set device timers. The eWeLink mobile application allows users to easily control the devices. The iOS app version can be downloaded to the App Store while the Android version of Google Play. Intelligent scenarios - the module relay is activated by different circumstances - temperature, humidity, alarm, etc.